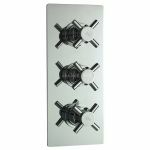 Mixer shower valves are the heart of a shower, the engine room and perhaps the component you should allocate the most of your budget to. 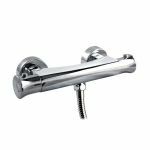 Accessories can easily be upgraded over time and may even require renewing but if you choose a good quality shower valve it could last over 20 years. 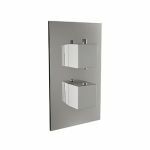 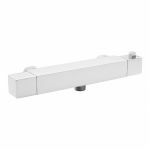 At SEUK we offer bar valves and both concealed and exposed mixer shower valves. 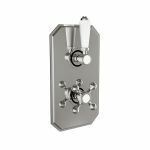 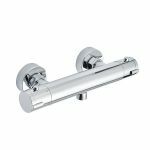 It's a fact that better quality shower valves are also safer and most of our products specifically from Hudson Reed and Ultra Finishing incorporate an anti-scald device that shuts off the shower should the cold water supply fail. 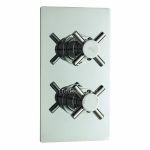 Look out for the TMV2 or TMV3 logo as your assurance of a safe product for your family. 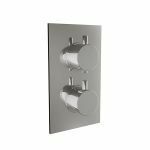 We have shower valves that can control 1, 2 or even 3 accessories, choose the one that's perfect for your space and gives you the showering experience you dream of.